The SL PAR 150 ZOOM is a die-cast aluminum LED Par can that utilizes nine homogenized RGBW LEDs to produce over 3200 lumens of output. The manual zoom provides a beam angle range from 150 to 700 and the split yoke bracket allows for easy hanging or floor mounting. The rugged construction, internal power supply, and ease of use make the SL PAR 150 ZOOM a natural replacement for conventional PAR fixtures. 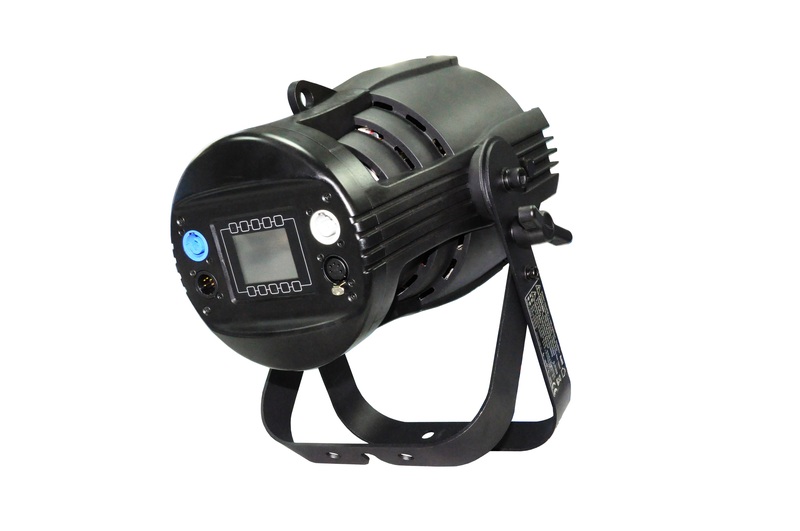 Whether illuminating stages, buildings, clubs, landscapes or other entertainment and architectural elements, the SL PAR 150 ZOOM provides designers with the highest output and best color uniformity. Simple daisy chaining of power and data, along with a split yoke bracket permit quick setup in any orientation. Configuration is also made easy through use of the standard Showline LCD menu system.